Widely used in a number of engineering applications, our range of Lathe Machines is manufactured using high grade raw material. 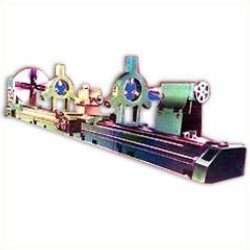 Our range of lathe machines is highly efficient and has a long service life. 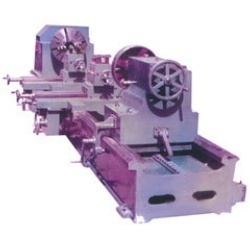 we are larger manufacturer & supplier of lathe machine , Geared Lathe Machines , Roll Turning Lathe Machines , Sugar Roll Turning Machines , General Purpose Lathe Machines , Extra Heavy Duty Lathe Machines in india batala ,( punjab ). 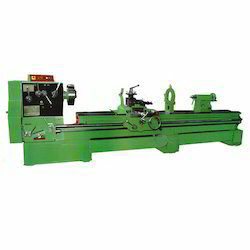 We have available with us a precision engineered range of Roll Turning Lathe Machines and Re-grooving Lathe Machines. 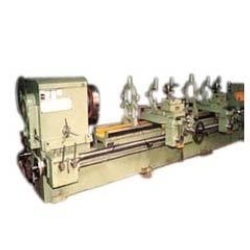 These Roll Turning Lathe Machines are customized as per the specifications of our clients and are offered at industry leading prices. We follow international quality standards to manufacture a range which is qualitatively superior and is offer flawless performance even in rugged conditions. Spindle speeds 12 Nos. 12 Nos. 12 Nos. 12 Nos. Main drive motor 3 H.P. 5 H.P. 5 H.P. 7.5 H.P. We are catering to the requirements of heavy engineering and other industries while manufacturing and exporting a precision-engineered range of Extra Heavy Duty Lathe Machines. Our range is packed in proper packing material thus assuring the maximum safety of the range before it is delivered at our client’s end.